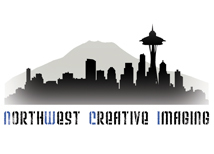 Northwest Creative Imaging offers many different services for all of your companies design needs. 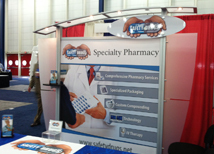 Our most popular service is trade show graphic design because of our low rates and fast turnaround. We also offer services for web site construction and SEO planning and implementation. Our design knowledge comes directly from hands-on experience and is combined with business knowledge to develop creative yet effective designs at a price that is justifiable for a business. Our graphic design portfolio consists of many designs created completely by NWCI. We also work together with our clients ideas to create designs that stand out at events! All of our graphic tempaltes can be found on our product detail pages, but for conveneince they are located by category on this page! We offer trade show graphic design service for customers who do not have a design department or have a completely booked design department. Our pricing is very reasonable and we produce very high quality end products. Our design team consists of the owner of NWCI and designers from our partner sites. 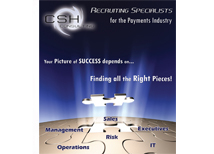 We combine core business knowledge with creativity to create highly effective designs at reasonable costs! NWCI is dedicated to making every one of our customers successful at their trade shows and at their business in general. We offer all the services that we can do and have done successfully to our clients so they an experience the same success we have with our designs. 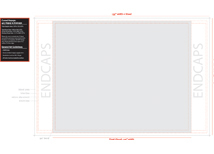 We believe in cost effective designs that will work great for your company. When working with a company we act as an intermediary between your idea's and what will work for your company on a design level. We take your knowledge of your industry and transfer it into a marketing instrument to increase your business.